The authorities of DPG Institute of Technology and Management has started the application process for B.Tech admissions into the institute. Candidates will be able to apply in online mode. Before filling the application form, the candidates will have to make sure to check the eligibility criteria. The candidates should have qualified JEE Main examination for admission. The candidates need to meet the following eligibility criteria for admissions into the B.Tech courses offered by DPG Institute of Technology and Management. The candidates should have qualified 10+2th standard examination. Physics and Mathematics as compulsory subjects along with Chemistry/Bio-Technology/Biology/Technical Vocational Subject. Should have obtained atleast 45% marks (40% for reserved category candidates) as an aggregate in the above subjects taken together. The candidates will be able to access the application form in online mode. While filling the application form, the candidates will have to provide their personal, academic and contact details. No application fee has to be paid by the candidates. It should be noted that all details submitted has to be valid in nature. For admissions into the B.Tech courses offered by DPG Institute of Technology and Management, the concerned authorities will allot seats according to JEE ranking. 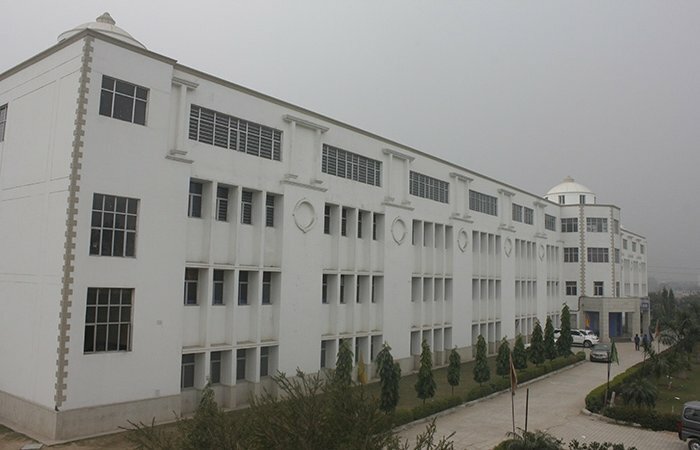 You can go for Dronacharya College as it has better Placements, exposure and faculty. Good Luck!! Your DPG Institute of Technology and Management, Gurgaon brochure has been successfully mailed to your registered email id .